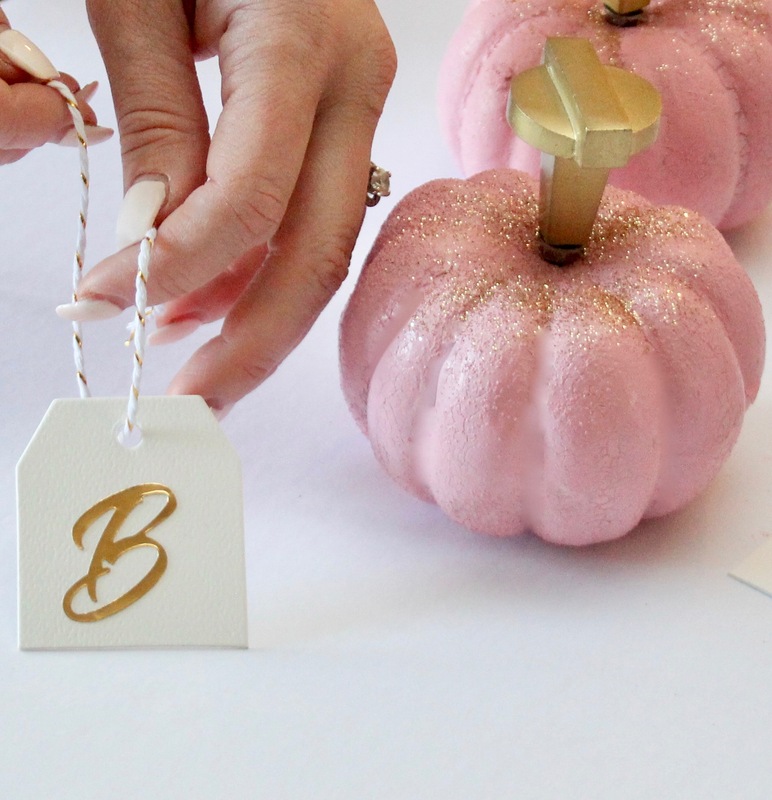 Our Pumpkin Place Cards DIY is fast, easy, and oh-so-pretty! See that one extra touch that took this to the next level. 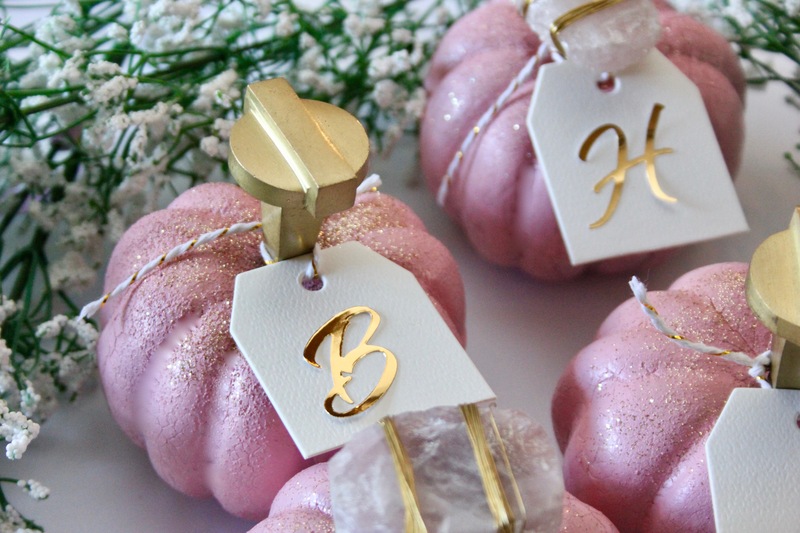 I love a feminine fall tablescape! 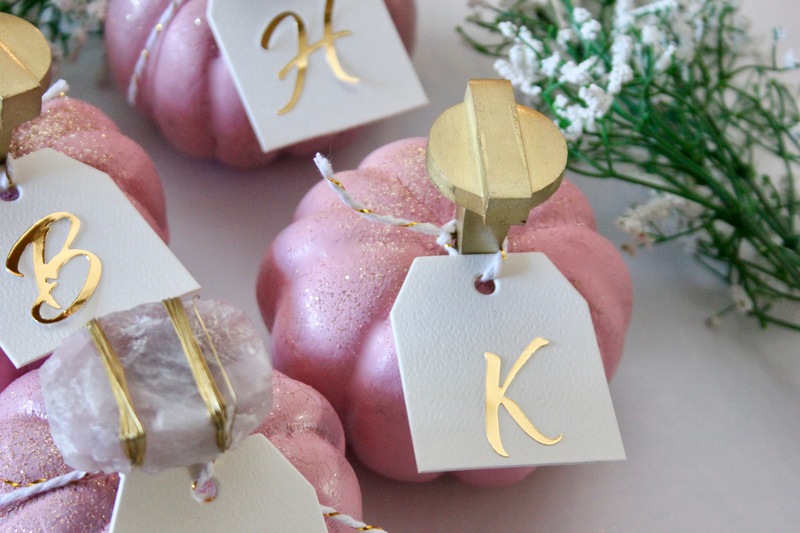 If you’re hosting Thanksgiving this year, and you’re looking to do something pink and pretty, add in these really easy-to-make place cards for that extra touch. Bonus: they also double as a take-home gift for your guests! Cost: Around $60 for four. The knobs are your biggest expense, so go with cheaper ones if you want to save some cash. Just be sure the get ones that are the right size so they don’t poke through the bottom of the pumpkins. Lay your drop sheet outside (or somewhere with great ventilation). 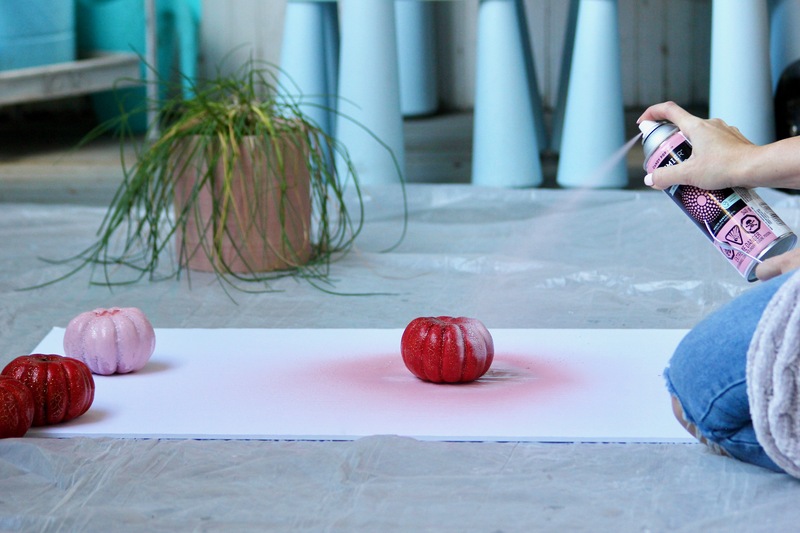 Spray the mini pumpkins with your spray paint of choice. 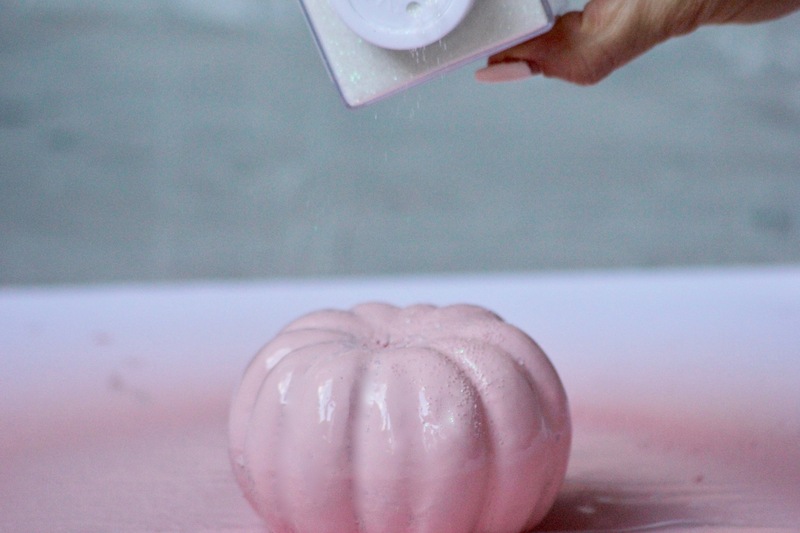 Then, lightly sprinkle glitter over the pumpkins before the paint dries. 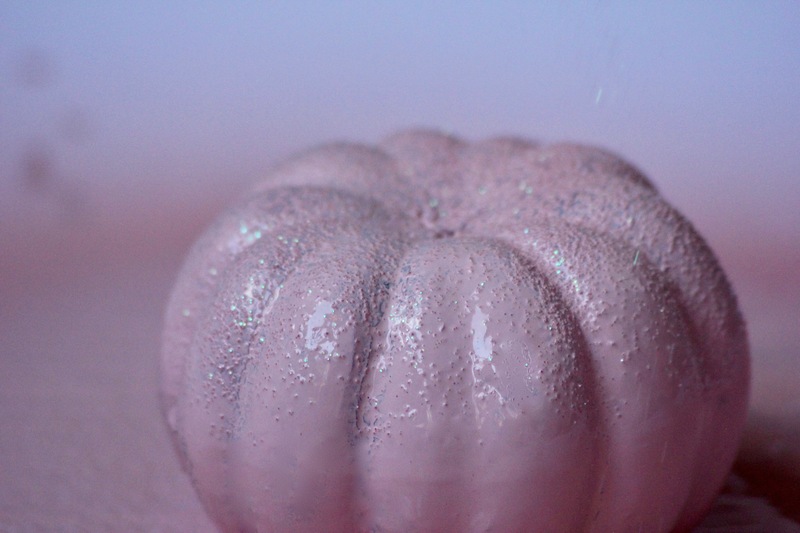 Let your pumpkins dry for about 20 minutes (longer if you’re not in a rush). Once the pumpkins are dry, push the knobs into the tops. 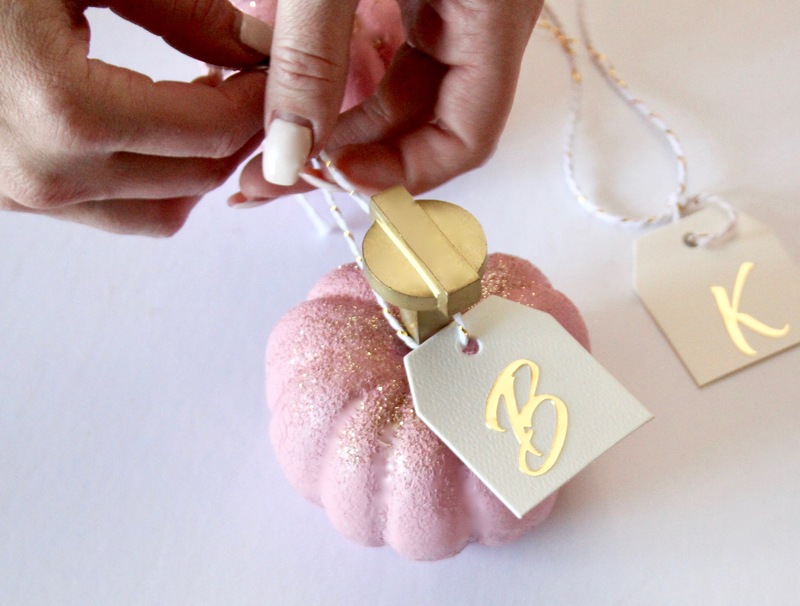 Attach your ribbon and name tag around the knob. All done! So easy and super pretty! Your guests can put this up in their office as a reminder of the great evening you shared. 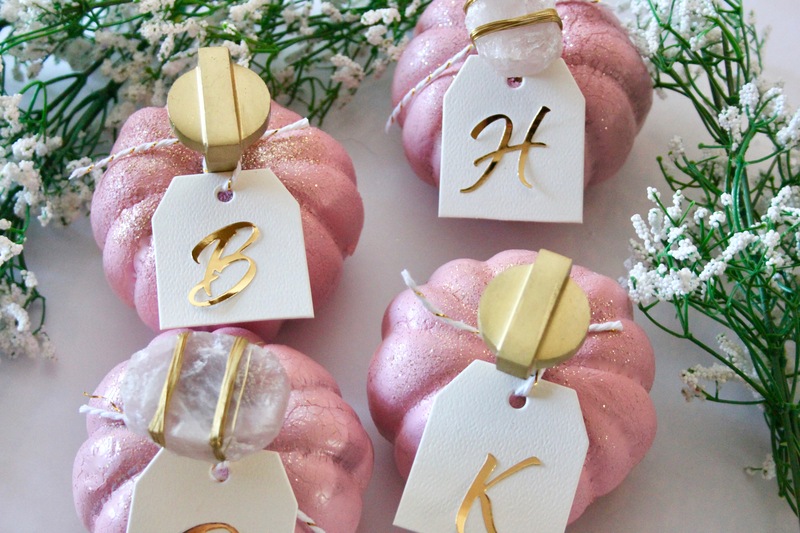 Pin this to Your Fall Decor and Tablescapes boards and follow me on Pinterest!